Mr. Gatti's Pizza is a brand with a history tracing back to 1969. Like many legacy brands, it faced changing trends and customer preferences over the years and has seen a decline in business. In stepped Michael Poates to take over as president in June 2015. He saw that the brand needed updating and would need to relocate some units. 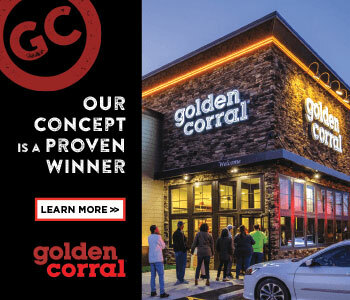 "We knew we needed to put some skin in the game with new corporate-owned locations, remodeling, revamping the menu, and adding more franchise support and marketing for the system," he says. The company also has assembled a winning group of executives. The reason for all the changes? An initiative to start franchising again. And that's just what the brand has done. 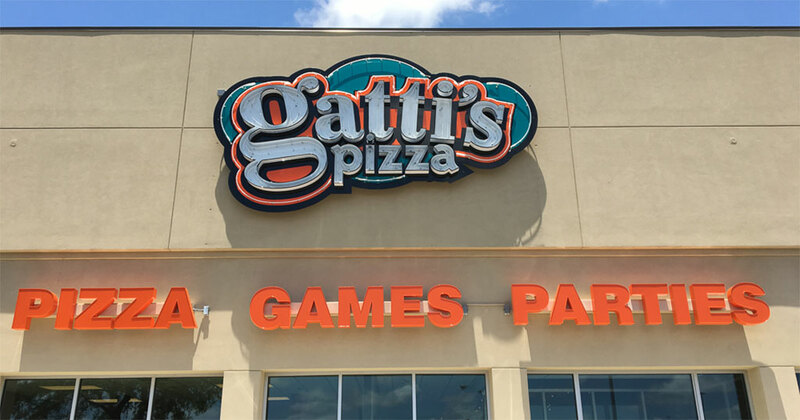 In 2017, Mr. Gatti's awarded its first franchise in 7 years. That store opened this past March in Killeen, Texas. Poates says this was the beginning of a national development campaign to grow the brand from 80 units today by another 100 locations in the next 3 to 5 years. He's also made it a priority to communicate more closely with franchisees. "It's important to engage existing franchisees for feedback, update your communication pipeline, and establish relationships through field visits to make sure everyone is committed." The final step in revitalizing the brand, he says, is effective marketing. "You need to master the message and not just focus on getting customers but, more important, on turning consumers into evangelists." The results of these efforts can be seen in the brand's new prototype store, signed franchise agreements, fresh menu items and LTOs, and new store openings. Inspire performance with our corporate and franchise locations and those who serve this endeavor. Demonstrate commitment to success and to doing things the right way. Aggressive and front-loaded. No politics, and I don't beat around the bush. Cutting through the minutiae. People appreciate the truth and direct talk, so I like to land the plane quickly and spend time on making a tough job fun. Sometimes I lack patience. I just was not born with it. I have checked with doctors and, unfortunately, there is no way to add it after birth. Be humble. It is okay to be wrong. Being president does not make me more important than anyone else. My goal is to get to know employees--to know about their dreams, goals, and families while talking about real-life subjects. School of Hard Knocks. There are lots of exceptional stories of leaders with years of education and endless success, but life in the world of "Ideal" wasn't my path. I have learned through failures, mistakes, and challenges. I have now been doing this long enough that simply remembering pain points won't allow me down roads I know will not be fruitful. How do you make tough decisions? I think the toughest decisions in any organization need to be collaborative. I think the leader inevitably owns the decision. It's important at decision time to be decisive and demonstrate calm, committed leadership. But it is an important perception to have collaborated with many levels who are affected by a decision (most importantly, our guests). C-suite decisions create a wave that can encompass an entire organization, so it's important to have buy-in, whether the decision was right or wrong. That buy-in will help you exit the wrong decision as easily as it supported you making it. If you are wrong, you need to stand by it, make it right, and let the team know, in the hope they will learn from it. Really neither. Respect is earned, it is not quantified or tallied. It is disingenuous to assume you have it. That said, I do believe it is critical that, in my position, I focus daily on giving respect and empowering my team to make critical decisions that positively affect the business. Leading any company is a lonely role. It is something you are never prepared for. Make sure you stay considerate of feelings, and be respectful of each person you serve in your organization. Never break a spirit. Even though you have all the authority you need to direct every decision, directive is never to be used until you have exhausted influence. It just works better to lead from a perspective of influence to impact change. Disclaimer: Influence is not manipulation or pushing buttons! Humble. Unassuming. Approachable. Fun. But don't confuse those style traits for not being calculated and incessantly, internally pushing data and interactions three moves into the future. I feel that a disarming situational leadership style allows you to get to the heart of everything quickly. It allows you a personal and situational awareness into matters that otherwise would not be granted or visible. It is so important to keep it fun--even when its not! Finding a management team that wakes up in the morning and has the passion to electrify the door handle when they enter the building. Passion cannot be taught, though it can be caught! You either get out of bed on fire or you don't. It's important to have best-in-class senior leadership and the redundancy of a succession bench they are helping to cultivate. Talent just does not walk through the door, it must be developed. It's not optimal to see senior talent come from the outside of an organization--it really puts a boulder on the path of the legitimacy of your organization's career pathway mantra. Always inspire your team to hire above themselves. And stand your ground on silos. The folks who create silos are sometimes the hidden culprits of discourse and organizational complacency by refusing to share the secrets that allow others to professionally grow! Remember not to reinvent the wheel--if it works, use it. Sometimes leaders who can't just feel the heart of their business model add processes to help them understand it on paper. You see this in company cultures that become process rich and action poor. Bringing to life our vision and our strategy with consistent tactical execution to both. They do it in a way that brings passion. Sometimes one leader's passion infects the group and helps to re-energize execution. When one needs a push, the others are there. That inspires me to be my best, even on days when it's tough! Lessons from the Castle by Scott Hammerle. Also, I enjoy LinkedIn and using that as a means of gaining insights and reading thought-provoking articles. Listening to our franchisees talk about their years of experiences provides a ton of institutional knowledge as well. I learn from our leaders each day. Reading compliments from our guests. Meeting the spouses of our teams who enjoy what they do. Allowing someone to grow by sponsoring and nurturing a professional growth path that really exists and is attainable for their future. Giving a well-deserved bonus and raise. Are there any trends in the pizza industry you foresee having an impact on your brand? In the restaurant industry, guests want an affordable, family-friendly option where they can bring their children for a good meal at a fair price. Mr. Gatti's has offered that for years, and we are seeing that trend pick up in the industry lately. 8:30 a.m. It gives me enough time to get up, prioritize my day, and walk into work with a plan--and by 8:30 I have already engaged all critical matters one-on-one. I have an open-door policy, so anyone can walk in when they need. That access allows us to make decisions more nimbly. Hence, it makes good sense to be buttoned up when you walk in. Exercise in the evenings, wine on the weekends. Nowadays, more exercise and less wine. I socialize with my team all day. Once or twice a year I invite them all to my house for a meal. I prepare it myself and serve them, to let them know how much they are cared for and appreciated. Pre-Suasion by Robert Cialdini. Blue Ocean Strategy by W. Chan Kim and Renee Mauborgne. Cellular wi-fi, ThinkPad, iPhone, and Bose headphones for the plane ride. This is a challenge for me. It is hard to turn off the business when you are not there. I'm a phone-on-vacation kind of person. I try to keep a pad and paper close so when an idea comes I can capture it. Otherwise, I like to entertain at home and cook. We love to cruise. The Caribbean, Bermuda, Mexican Riviera, and Destin, Florida. Daily. Notice and comment on the "little things." While we certainly acknowledge birthdays and other special days, it's important to notice the small wins. That makes the difference. I would like to see us grow aggressively in the family entertainment center space with another 100 locations in the next 36 to 60 months. The economy has forced us to really be conservative and judicious in our use of black powder capital, as well as turn the news off. Growing transactions, a happy and engaged corporate team, and a positive franchise base that believes they have made the right investment. A good night's sleep without the guilt of a failed day or loose end. My faith is first. 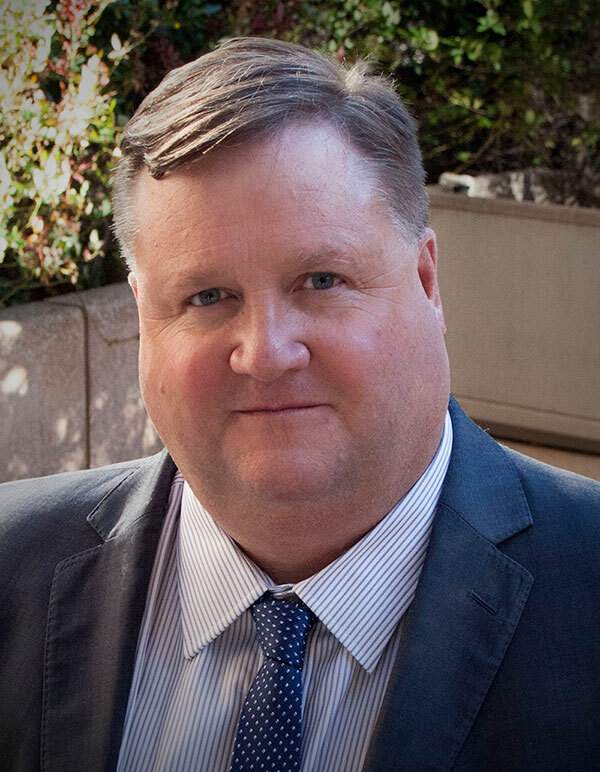 Close behind is my marriage to my wife Allison, and our two daughters Catherine and Caroline, who have each blessed me and my life immeasurably. I have many, but I've been blessed to be able to convert many into learning opportunities so I do not have to regret doing them twice! The ones I could not convert I will never forget. Those are only disclosed after I have served dinner and a glass of wine. Plenty of pizza, games, and parties, with 9 or more new locations joining our family and adding to the fun.